Greetings from sunny South Texas where the weather is now changing from day-to-day whether we like it or not! I did not make a March Goal list because I knew we would be going out-of-town, and along with the other unforeseen requirements I would be surprised if I did accomplish anything regarding quilting. But, alas, I did complete a few things. I actually had 6 days of non-interruptions, peace and quiet, and quilting time. That was a gift. I am hoping for a peaceful non-eventful month! The Navigator was fixed by our Lincoln dealer under their Loyalty Warranty (whew!) The “lost” part on the Town Car that our mechanic lost when we had to replace 2 computer modules was replaced – so we have no issues on the table – and I hope it stays that way! This month I finished the binding on Oh Glory! I have half of the first block from the 2017 Quiltmania Mystery Quilt done (as you can see I am not in a hurry in catching up). The other part of the block is a mirror image of what I have completed. It is reverse appliqué and an easy project. This is a quilt I made with some left over 3″ 9 patches that I will not use. 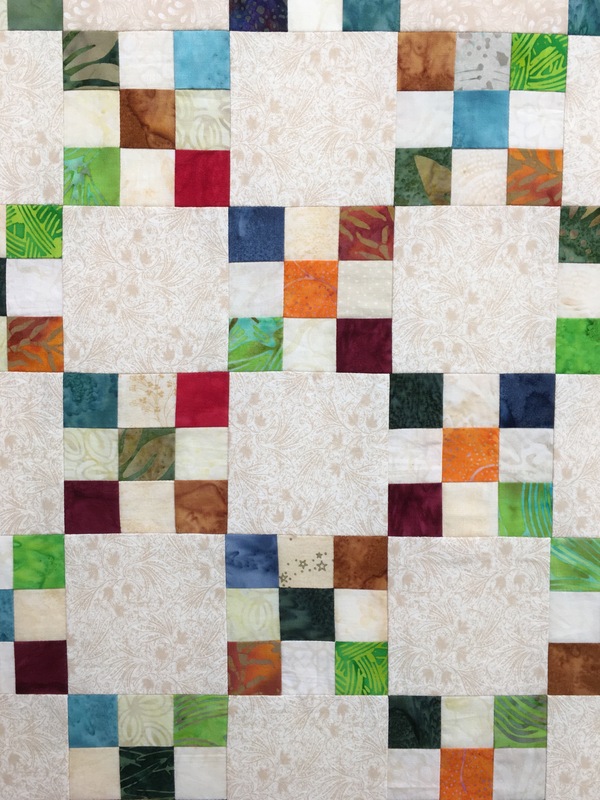 It is a quilt from E. Sitar and she mixes batiks and other fabrics together. After making 300 3′ blocks I realized I did not like the mixture. I pulled all of the batik 9 patches and made this quilt for a friend. This will be a “surprise gift quilt” and I will quilt it on the long arm. I am surprised it turned out so well since I do not consider myself a good scrappy type person! It will be a nice lap quilt finishing at 48″ x 48″. I did have to make 2o more 3″ 9 patches and then I ran out of the alternating fabric, so I improvised! I did the 3 outer rows with one tone and the middle with the ones that I was short on. It turned out nice. 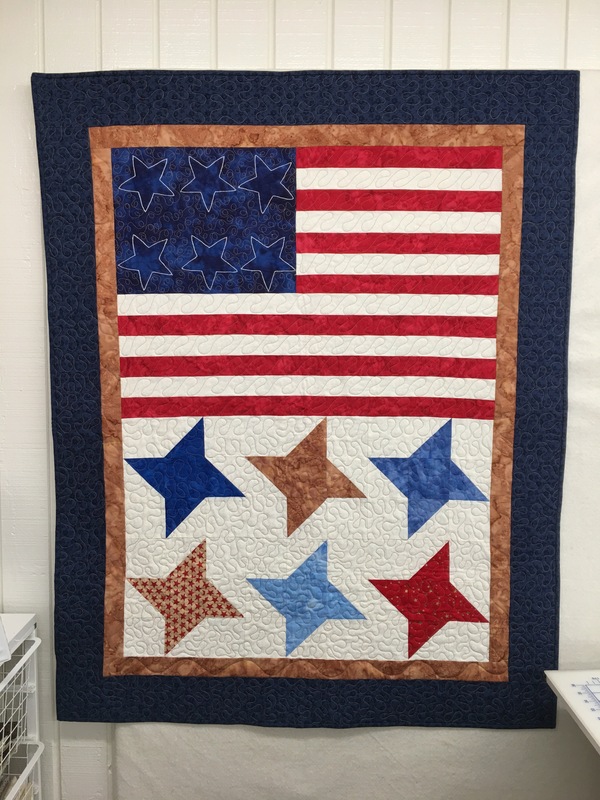 This is a picture of a quilt that I made for Hubby and two other Veterans. I will now make one more for a “gift” quilt that will go along with the 9 patch quilt above. 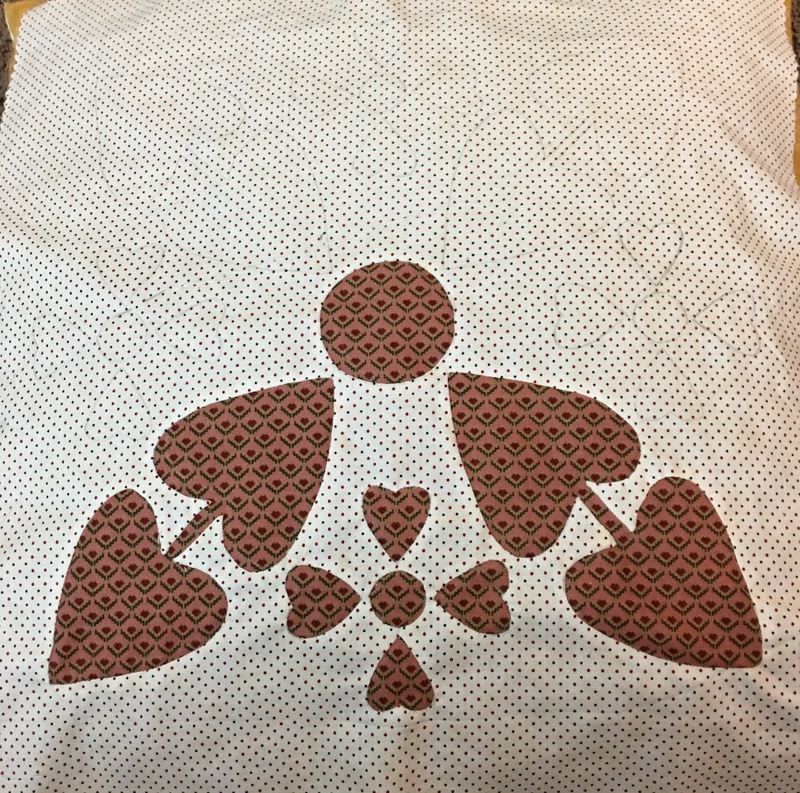 It is an old Eleanor Burns pattern and I love making it! – Especially for a Veteran. They have been so mistreated! 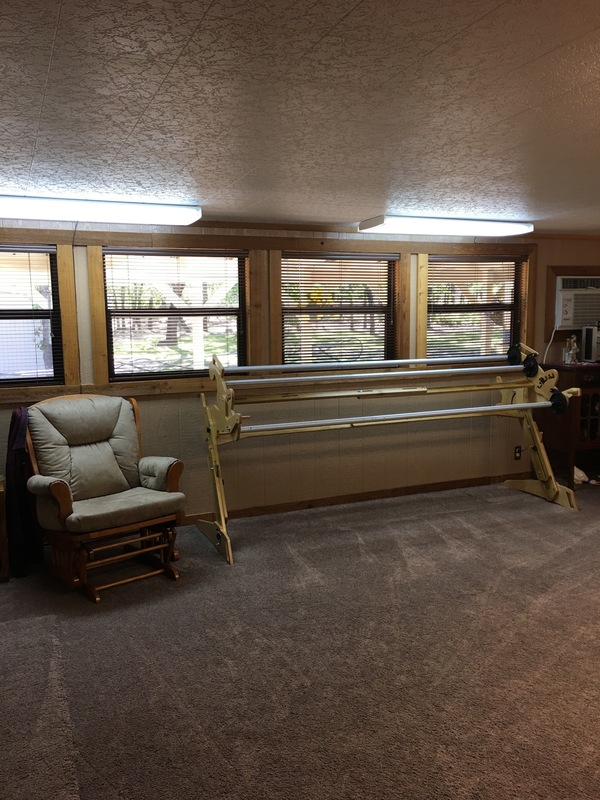 I ordered a Z44 Grace Hand Quilting Frame in late February and just before we left on our trip the new one came. Clay stained and put a beautiful finish on it and yesterday we decided to put it together. I asked him how long it would take as I was going to do housework. He said an hour…..It took 6 but it looks great in its new home in the Den. Today is a lazy day as the weather is about to change AGAIN but I think I am going to get my housework done today so tomorrow I can start on the new Eagle quilt as I would like to get them in the mail by the 10th of April. Next step (next week) I will put the leaders on and load something to work on. It works like my long arm (I think), so maybe there won’t be a learning curve. What is nice about this frame is that it has a take up roller for the batting! GOALS FOR APRIL: Number One – wake up each day (LOL). 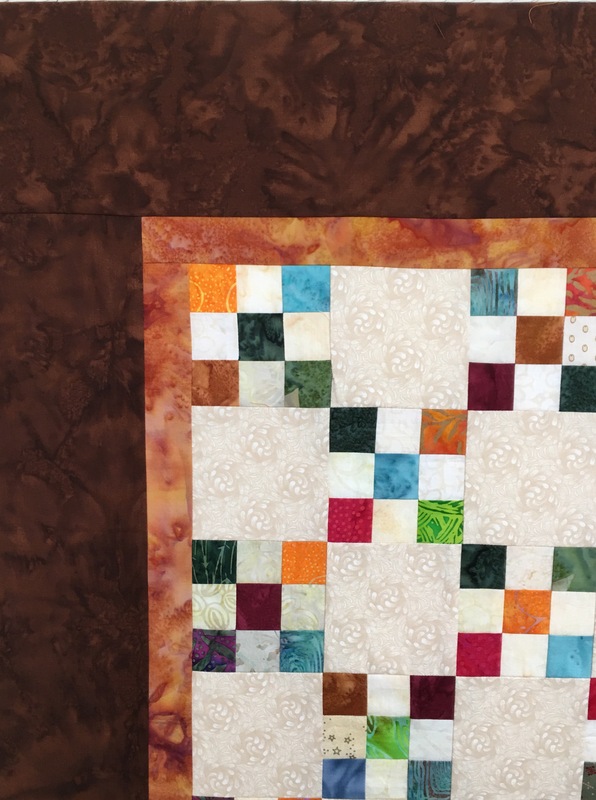 Finish setting up the Grace Frame and load a project to “practice” and become un-rusty with my hand quilting. I may add to the list – depends on how the next week goes. Have a great day – am off to clean the house! Sounds like you will be ready to go tomorrow morning. Hope you can meet all your goals in April. Well, I will say one thing – my house is clean! No quilting here since Thursday – but the sky is blue and the calendar is in the trash can! 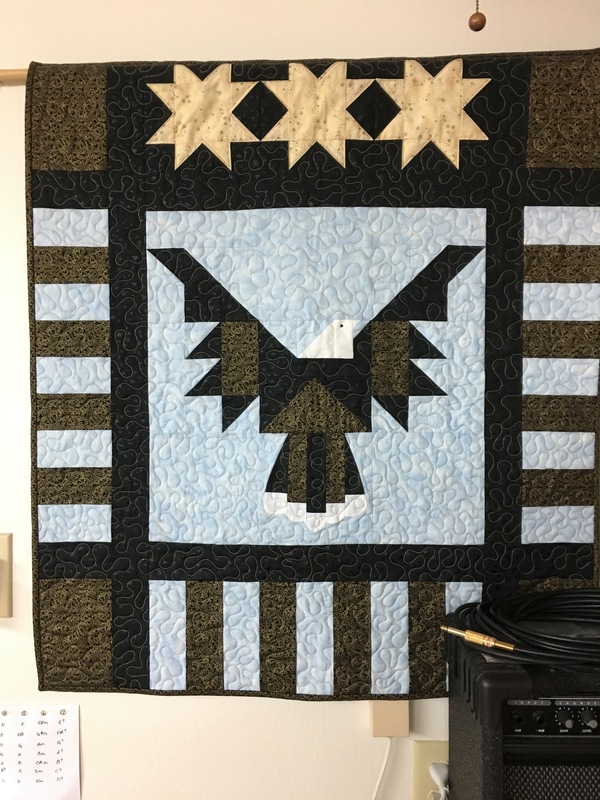 (LOL) I really need to do my Eagle quilt, then go back to Brinton Hall. I could finish that one by May (of course not quilted) I would love to have that one in the frame first! you will probably pretty much load your quilting frame as I load my 3 roller frame for handquilting. I have tutorial on my side bar if you need to look. Have fun with it – they always take longer to put together the first time you set it up I think. Of course wonder woman and wonder man just knew that it could be done in an hour and then I would clean the house for the week……. What a joke – I will check out your web site, but am pretty sure it will be the same. Oh if only I were 21 and married to a rich man and never had to spend all those years working when I could have been quilting! (not really – no regrets here). Thx for the tip. 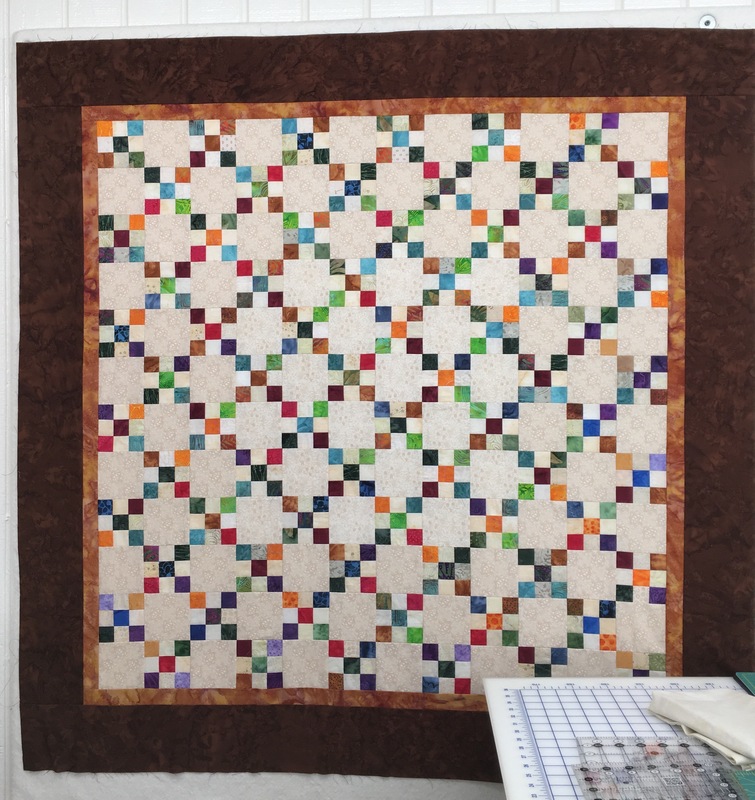 I love the Scrap nine patch quilt. Hope you meet your goals in April. Seems you will be doing wonderful quilting with the help of your new frame. Uh-hu!! Congrats on finishing some projects! What a great feeling! Have fun with your new frame, too! I need to really re-program my brain. What was I thinking starting so many hand projects anyway? LOL. I hope to have something loaded within a month! Thx for commenting. I love your Aunt Bea’s. Beautiful hand work. Love the single iris chain (or 9 patch). Enjoy the frame… I assume it is very similar to your long arm. Thx, Clay did such a wonderful job staining and putting the finish on the frame. The first one that Grace did was horrible and there were other issues so it went back. The $ they charge to stain it is not worth it. Have a great day. Thx. I hope to accomplish more this month. Thx for the comment. I am having serious quilt frame envy!! Great to hear about that. I remember years ago how I had to lay the quilt out on the floor…..The long arm spoiled me. I am glad that I waited until now to get another grace – especially the Z44. I know I will love it. I am glad the TENS unit helped your son. My back brace hits on my Fibro points on my shoulders and this really does help that ache! Have a great day! Keep in touch.